An exciting new take on the World's Greatest Word Game. The first fill-in joke book you can play with friends or enjoy all by yourself! 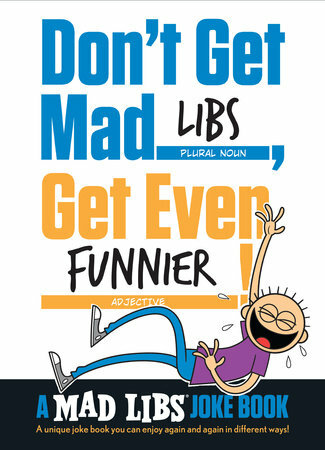 The simple, silly fun of Mad Libs meets the wacky humor of the best jokes for kids in our oversize mash-up Mad Libs joke book. Each joke follows the Mad Libs fill-in-the-blanks format but with a new twist: The jokes can be told again and again with new answers AND you can tell yourself the jokes without knowing the punchline by filling in the word list at the top of the page. It's a whole new riff on a familiar formula, with plenty of room for your own silly style.